This entry was posted in Helpful Hints and tagged editing, writing. Exposition is an important part in any story–we’ve got a lot to tell, and a limited time to tell it–and thus it is occasionally necessary to give the reader decent chunks of information or backstory. However, excessive exposition can lead to what is known as an Infodump, and is something that many critiquers and beta-readers can be very harsh on. It can also be off-putting to many readers. Why don’t I like Infodumps? They distract from the narrative flow by delivering a history lesson. Too much information, given too densely, is difficult to process. They reiterate what the canny reader has already inferred. I’m more interested in the characters than the level of world building or research the author has done. They are a prime example of Tell, not Show. They can ruin the flow of action if placed inappropriately. How do you know if you’re Infodumping? Generally the best way to know if you’re committing excessive exposition is to ask your beta readers. They should be able to highlight points where the prose has slowed, or even halted, to deliver information, be it world history, character backstory, or other. Also, if you have delivered information that is not actually relevant to the story that you’re trying to tell. Whilst you may have created an extensive world, with a dynasty stretching back five generations and encompassing the seven kingdoms, this may be better kept to a companion encyclopedia. Likewise, we don’t need to know your character’s entire life history, not if we can infer it by their interactions and relationships with the people around them. When writing the first draft, don’t be afraid to throw in as much backstory and exposition as you like, especially if it helps you to develop the world and the characters in your head. You can always edit it out later and store it in another file. Then, when you’re a successful author, you can publish them as part of a companion book! Upon revising your draft, take the opportunity to look for places where you have actually shown through actions, dialogue or other, the information you’ve previously explained. If you’ve shown it, you don’t need to explain it as well and can safely edit it out. Show your world building skills by sending your characters on an epic “road trip” that allows them, and by proxy the reader, how wonderfully you’ve developed your world. This is possibly why the Quest narrative works so well. However, try and keep their interactions and adventures somewhat concise and focused. This is also why novices and apprentices, or the “innocent outsider” is so popular as a main character in Otherworld fictions. It allows other characters to explain things that the character —and the reader— need to know. I have created many, many characters, and a lot of them have fairly developed backstories. However, as they are not major players in my stories, the reader doesn’t really need to know all the details, just enough to make them unique and give them a life outside the book. “How ya been, lad? How’s Leif? Still playing the harp?” Julius greeted his old friend. And that is all we ever hear about Titus’s ex-boyfriend, Leif. Be aware of the “Maid and Butler” dialogue trap. A popular way of telling the reader about world history is by sitting the main character in a class room. Whilst this can be a successful technique, it is also one that can come across as rather contrived, especially when the students are being taught about things they should already know. To be used with caution. Vague references to things such as “the rubble left by the 30-day war” or similar, can be great for rousing the reader’s curiosity in your world’s backstory. For example, instead of saying your world is post-apocalyptic, you could sprinkle the landscape with remnants of human civilisation –things the readers will recognise, but the characters may not. Let the reader infer what has happened in your world’s history. Drop hints. Tease them. There are more alternatives, of course, if you have any suggestions, please feel free to comment below! If you must insert exposition, chose the position wisely. Firstly, it must have relevance to characters or events and secondly, exposition slows prose and can be a useful tool. If you are writing a high-fueled, adrenaline adventure, it may be necessary to occasionally give your characters, and readers, time to breathe and relax. This is a good time to give expository information. Having your character think about their past, especially in detail, feels very forced. If you are going to do that, have something trigger the memory, keep it fleeting, and keep it appropriate to the tone of the narrative at that point: if the character is fleeing for her life from a giant tiger, she might have a brief deja vu moment, but she’s hardly going to suddenly remember, in great depth and detail, seeing a similar beast in a zoo. Likewise, don’t break the tension with an infodump. If the farmer has just pulled an ancient sword from his attic, so that he can run to aid his wife, who’s holding off raiders, we’re not going to want to know how he happened to have such a weapon. We might be curious, yes, but we’re more interested in whether he’s going to make it to her in time. Please don’t start your book with an infodump (unless it’s contained within a prologue). If I pick up a book and it is an extensive world history, I’m going to put it back on the shelf. Start with your characters, then deliver — carefully abridged — exposition. Some genres are more forgiving to exposition than others: epic fantasy, being immersive, the reader will be more open to it; crime thriller or fast-paced action, not so much. This entry was posted in Helpful Hints and tagged editing. Dialogue is not easy to write, and it can take practice to make it feel natural, especially if the characters are not clearly in your head, talking. So how do you go about making your dialogue less stilted? Your characters feel more real? Below you will find a few of the pitfalls that I have observed, as both a reader and a writer, and practical advice on how to make the dialogue clearer, and feel more real. Remember, these are guidelines, not hard and fast rules. Your story is your own, and how you choose to write it is entirely up to you. The best advice on how to write better dialogue: Practice, read it aloud, then practice some more! Note: All extracts are taken from my current WIP, Tail of Two Scions. Dialogue tags are important to establish who says what but, so saying, when two characters are having a conversation, it is not necessary to establish this every line. Generally, you need to indicate it the first time either character speaks, and then can manage several back-and-forth exchanges before having to remind the reader again. Note: it may be appropriate in your story to leave in the “he said/she said” for every line, especially if you are writing for younger readers, who may not be fully aware of the common conventions and thus become confused. Do not feel obliged to remove them. “Care to make your report, ranger?” Riana teased. “Give me a moment.” Aurelia scooped up the water flask, downing the contents in great gulps. She stiffened, drawing herself fully upright, as Simone sauntered over to them. When more than two characters are involved, this becomes somewhat impractical to easily manage, and attribution tags will be required. Yes, it is a great idea to push the plot along and supply backstory or deliver clues via dialogue. However, you have to do this very carefully. Characters should NEVER have to straight out explain to each other what both characters already know. Fixing this from stilted and awkward can be as simple as rearranging it to fit into context (in this case, Aurelia’s just tried one of Riana’s flying devices, with unfortunate results). In the latter instance, it’s still the characters telling each other what they already know, but it is integrated in a manner that feels more like gentle teasing/banter than a general info-dump. 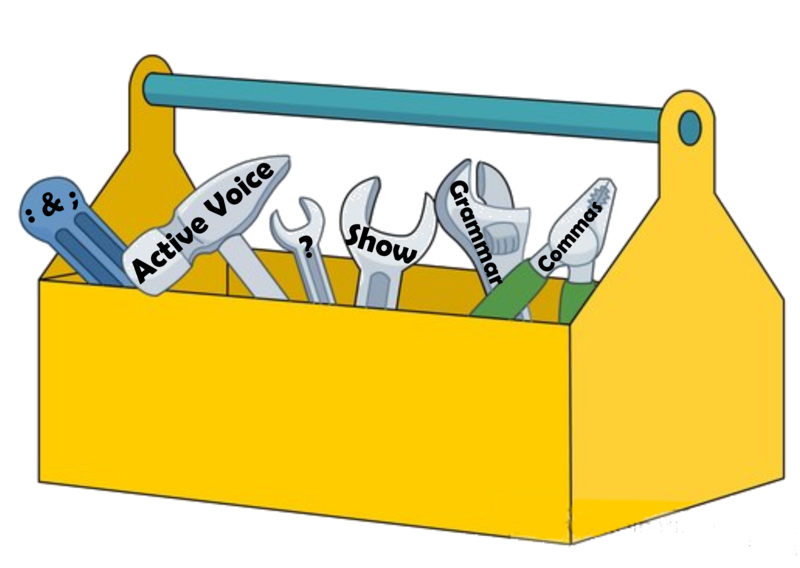 Other ways to avoid this can be: have only one character know and be training the other (teacher/student); use a mix of action and dialogue (ie: if you need to show how a machine works, have the characters fix it and discuss the process); have the two arguing about it. Adverbs should, generally, be avoided, although there are times when they are necessary to establish the emotions of the characters via their tone of voice. They are a classic example of “tell, not show”. It is better to use an alternate verb if one is available. But BE AWARE: overuse of said-alternates can also be extremely distracting in a story. Generally speaking, readers often overlook the word “said” and, whilst “raged” is far more concise than “said angrily”, one doesn’t want every dialogue tag to be a different verb. Also, sometimes the meanings will be different: “Raged” suggests a far more dramatic response than a simple “said angrily”, for example. To test whether adverbs, or even verbs, are truly necessary, I remove them from the text and read the sentence asking myself: is the character’s mood/voice clear from context? Or do I need to keep it in? Does it matter if the reader interprets it differently? There are some insane adverbs out there—J.K. Rowling is guilty of using some really extravagant ones. Generally speaking, the more syllables they contain, the more likely they are to annoy/distract the reader. Describing action instead of using dialogue tags is a useful technique that can go wrong: You can avoid dialogue tags on occasion by having the character doing something instead. If this action follows on from dialogue, the reader will automatically attribute the dialogue to the named character. Be aware of this, and always use a new line if a different character is physically (rather than verbally) reacting to the previous speaker. In the above passage, the reader should automatically attribute the speech to Roland, even though it contains no dialogue tags. When Mephistopheles reacts, it begins a new line. If it did not, the reader might become confused about who is talking. A gasp, then her eyes narrowed. Simone let her hand fall slack to her side and Aurelia turned her gaze back at the ground. “So, you are the one then.” Rancid slime dripped and oozed from Simone’s scent. “Heir to the royal dynasty.” Her lip twisted back as though she had smelled something foul. This entry was posted in Helpful Hints and tagged Dialogue, editing, tips & tricks. On January the 30th, we held the first in our series of 2016 workshops, Developmental Editing: the Editing Skills Every Writer Needs. This full day program offered four guest speakers, plus offered one-on-one critiques of manuscripts. We were supported by a strong attendance – the venue was full! 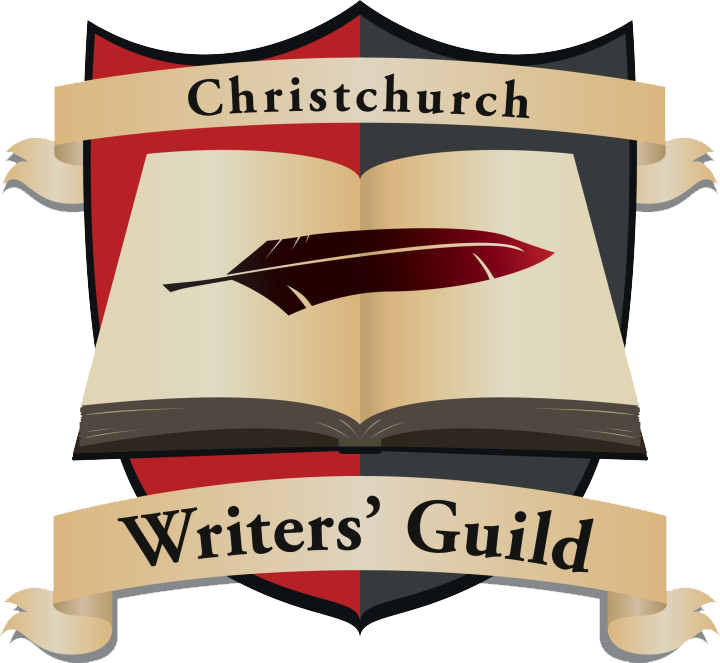 – with writers coming from the Guild, the Hagley Writers School and the wider Christchurch community. We started the program at 10am, with an introduction by Janine Lattimore, the Guild secretary. Then our first guest speaker, Barbara Arnold took the stage to discuss “Dialogue and the Traps”. 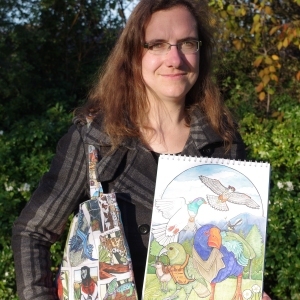 Barbara is an author and has previously tutored at the University of Canterbury. She is also published in various collections and has penned a series of historic novels available through Amazon and your local library. She first talked us through the basics of dialogue and its role in narrative: how it can reveal information in an accessible manner (including backstory), show a character’s personality and relationships, and advance the plot, amongst other functions. Any dialogue that does not fulfil any of the above is nothing more than filler, and should be reconsidered or removed from the narrative. Dialogue should also be realistic, but not real, and every character needs a “voice” of their own. And, I’m sure many of you will be pleased to note: bad grammar is perfectly acceptable in dialogue, as are cliches (although please do not overdo the latter). Beginning first with the “who needs an editor?” (answer: anyone who intends to share their book with the world), she educated us on the various types of editors available and various stages of editing: from developmental editor to the final copy-editor and proofreader. Also, sharing with us a few tips and tricks to make the way easier – and cheaper – for self-publishers. Her lecture was particularly useful because it highlighted how many different stages there are to the editing process; finishing the first draft is a huge achievement, but it is really only the first step upon your publishing journey. Finding beta readers, compatible critiquing partners and a good editor are all necessary in transforming your story from a manuscript into a strong and polished novel. And yes, I’m afraid that does involve a lot of work – and several exhausting rewrites! You can read a little of her lecture here. We then parted for a short lunch, before continuing on with the afternoon lectures. Deb Donnell, of Keswin Publishing and Writing Diamonds was one of our sponsors for this event. 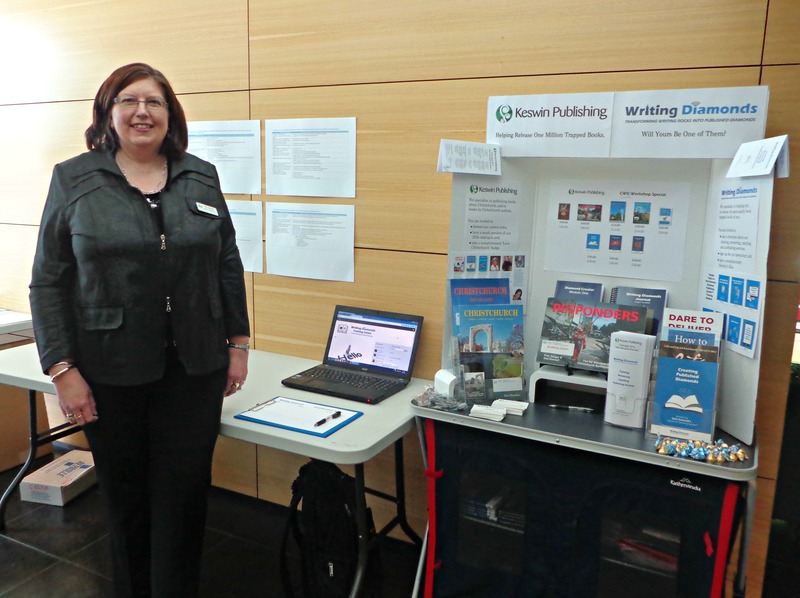 She set up a lovely display with Keswin Publishing’s Christchurch-themed books: Responders, and Christchurch, NZ 2015, as well as her introductory books to the Writing Diamond Publishing System. She also provided her services as one of our Editors in the Critiquing Program. The Workshop Report will continue next week. This entry was posted in Events, Workshops and tagged editing, report, workshop. 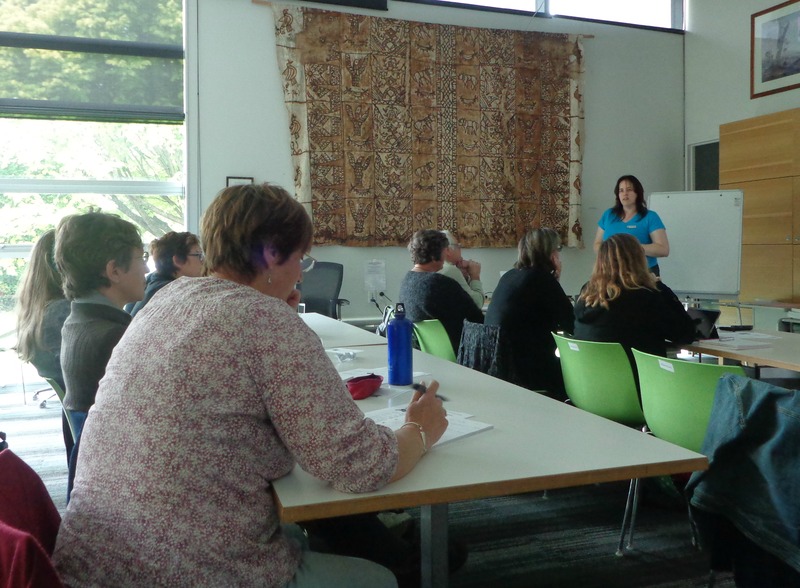 At the end of January, the Christchurch Writers’ Guild held a workshop on Developmental Editing. Judy L Mohr (writer and freelance editor with Black Wolf Editorial Services) was one of the presenters. This post was basically what she spoke about. This entry was posted in Helpful Hints, Workshops and tagged editing, Judy Mohr, writing.